Life appears to move at a slower pace in Dentdale. Here people are only too willing to pause and pass the time of day with you and there’s a friendly wave from vehicles as paths cross. 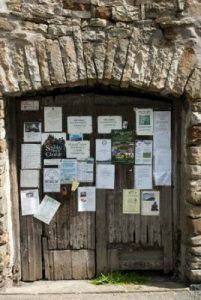 Visitors and locals alike are warmly welcomed by the dale’s small businesses, which include a village store, three traditional pubs, campsites a Heritage Centre and several cafes. It’s clear from the landscape that farming is the lifeblood of the local community and the Dentdale year is governed by the rhythms of nature. However, the leisure and tourism industry comes a close second in providing an income for those who live and work here. Visitors often describe being attracted by the ‘old-fashioned’ feel of the place, with its quaint cottages, cobbled streets and friendly atmosphere. 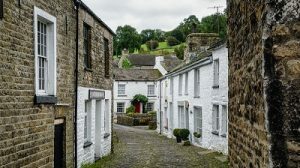 Once discovered, such is the appeal of Dentdale that it’s not uncommon for folk to put down permanent roots here, with a surprising diversity of accents to be found among the local residents.